for boating, sporting events, bird watching, and sightseeing. Prism: Roof prisms are more compact and lightweight. Porro prisms offer superior optical performance, but the roof prism in the BN29 is coated with an anti-phase shift coating, making it equal in quality to a porro prism. 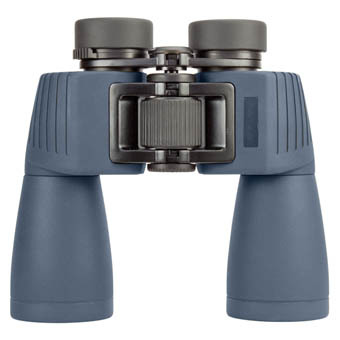 Also, the BAK4 glass used in W & P binoculars is the best high density glass available eliminating internal light scattering and producing sharper images. Reticle: Built in range-finding reticle allows you to calculate the distance to an object of a known height. Combined with a compass, you can determine your position. Compass: A built in magnetic compass, which appears superimposed near the image you see through the lens allows tou to take a bearing to an object. This is valuable in determining your location relative to other objects. Lens Coating: All air to glass surfaces have received multiple coatings. Fully Multi-Coated lenses offer the best light transmission and brightest images. This method is much better than fully coated or uncoated. Focus: Center focus systems allow you to change focus quickly between near and far objects. Individual focus binoculars allow you to prefocus each eye for viewing objects from 40 yards to infinity without any further adjustment. 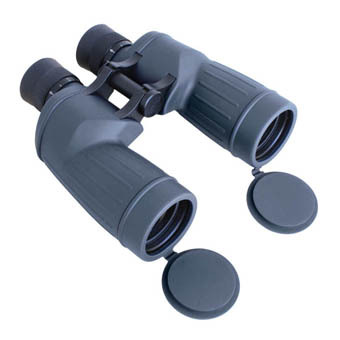 Field of View: The size of the area that is visible through your binoculars can be expressed as an angle or a distance across the view area at 1000 yards. 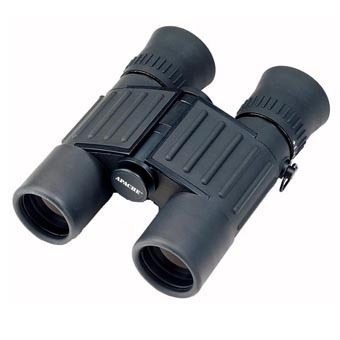 Purge Gas: Binoculars are filled with an inert gas to improve light transmission, prevent fogging and remove moisture. Nitrogen is the industry standard, but Argon offers an advantage, because it reacts less with your binocular's internal parts. Exit Pupil: The size of the circle of light you see when the binoculars are 6" away from your eyes. Larger is better, because low light images will appear brighter. Eye Relief: The maximum distance between the eye piece and your eye, while still being able to see the full field of view. 9 to 12mm is considered standard and is fine unless you wear glasses. 15 to 23 works better for those with glasses and also gives users the option of not always pressing hard against the eyecups. 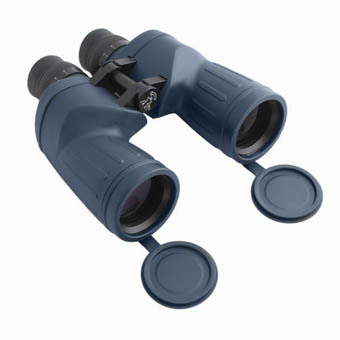 Weems and Plath has a full line of binoculars for any adventure on land or sea, mountain top or lake. The first number (7) is the magnification. If this number is too small, the subject may not appear large enough to see clearly, but if it is too big you may have trouble holding steady enough to keep the subject in view. This is especially true on a moving boat and why high power binoculars and telescopes use tripod stands to hold them steady. The second number (50) is the size of the objective lens in milimeters. The bigger the lens, the more light can enter and the brighter the subject will look in low light conditions, but the larger and heavier the binocular will be. As with anything, there are practicle limits, and 50 seems to be the accepted compromise for boating and most other uses. withstand a drop from 6 feet. and commercial ships and pleasure boats alike. they provide superb image quality even when wearing glasses. companion when the going gets tough. 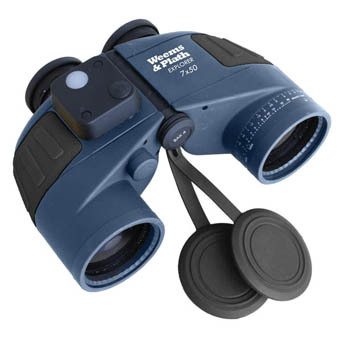 All Weems & Plath binoculars are waterproof. All include a soft case, lens covers & neck strap except BN29 which has no case.